Salt Lake City, Utah – April 29, 2014 – Monnit Corporation (www.monnit.com) today released a new Wi-Fi analog voltage sensor. The Wi-Fi analog voltage sensor is capable of measuring the voltage off another device, battery, or sensor, up to 1.2 DCV by connecting the leads on the voltage sensor to the positive and ground terminals of the device being measured. Examples of interfacing devices include, but are not limited to: strain gauges, pressure transducers, RTDs, thermistors, thermocouples, piezo electric sensors, photoresistors, any kind of variable resistor or any kind of sensor that outputs a voltage, etc. If the device being measured is passive, the user must supply their own excitation voltage, as the Monnit Wi-Fi analog voltage sensor is really just a “voltage observer”. This sensor cannot be used for AC voltage measurement. Focused on simplicity, MoWi wireless sensors can be setup, gathering data and notifying users of concerns in just a few short minutes. 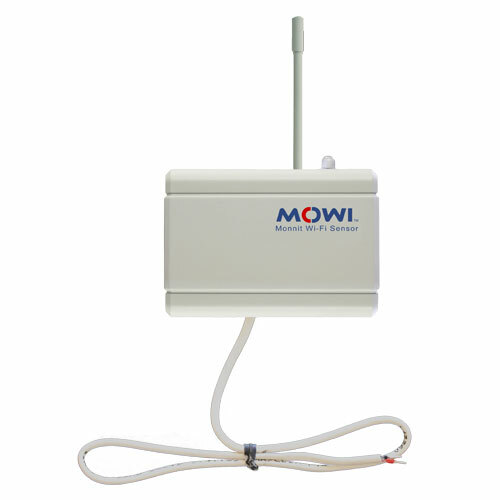 This latest Wi-Fi sensor adds to the fifteen currently available MoWi (Monnit Wi-Fi) sensors that measure temperature, humidity, door and window (open/close), motion, water, activity, dry contact and a variety of other conditions that are critical to businesses. These sensors use an integrated, 2.4GHz – 802.11b/g, FCC/CE certified radio transmitter allowing them to communicate with new and existing Wi-Fi networks globally. Monnit also provides MoWi sensors to OEM’s and Reseller’s through OEMSensors.com, which allows for white labeling (private branding) of both the wireless sensor hardware and the online monitoring software. Salt Lake City, UT – April 15, 2014 – Monnit Corporation (www.monnit.com) announced today the release of their M2M cellular gateway with 24 hour battery backup. The new cellular gateway is specifically designed to allow for up to 24 hours of continuous operation in the event of a power outage, ensuring that wireless sensors are able to communicate with the monitoring software until power is restored. 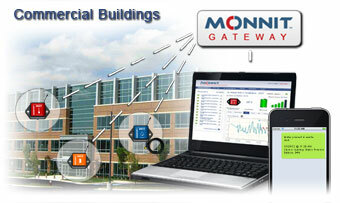 The MonnitLink™ Cellular Gateway (CGW2) with Battery Backup was designed to support up to 100 Monnit wireless sensors, which are capable of detecting and monitoring functions that are critical to business operations, including; temperature, humidity, water, light, access, movement and much more. Monnit’s wireless gateways transmit data between local sensor networks and iMonnit, the online data monitoring system, which aggregates sensor information and sends notifications via text or email if user defined conditions are met or exceeded. All Monnit wireless sensors include free basic iMonnit online sensor monitoring with SMS text and email alerting. The cellular gateway with battery backup is certified on Verizon’s CDMA cellular network and requires a low-cost cellular data. The new cellular gateway as well as wireless sensors and monitoring software are available to OEM’s and Reseller’s through a private label offering at www.oemsensors.com. The Heartbleed Bug was disclosed Monday night (April 7, 2014) and is a serious vulnerability in the popular OpenSSL cryptographic software library. This weakness allows stealing the information protected, under normal conditions, by the SSL/TLS encryption used to secure the Internet. SSL/TLS provides communication security and privacy over the Internet for applications such as web, email, instant messaging (IM) and some virtual private networks (VPNs). 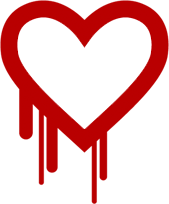 Does the Heartbleed Vulnerability Affect Monnit or iMonnit servers? Monnit uses the latest in SSL technology and is pleased to state that our servers were never susceptible to the Heartbleed SSL Bug. Our customers and resellers can rest assured that our servers were never compromised. There is nothing you need to do when using the Monnit website or the iMonnit online sensors software. is concerned, there is nothing more you need to do. However, this bug has affected many other sites over the past few years, and it’s possible that sites you regularly visit may have been vulnerable. We recommend you update passwords for any websites in which you store sensitive information, such as email, banking, credit card payments, etc. To start, there are two types of sensor radio behaviors associated with Monnit wireless sensors. First there are “Event” type sensors that respond immediately to an event as it occurs (think of event type sensors as yes/no data). Second there are “Reading” type sensors that work on a timed basis to wake up at set intervals, gather data, transmit the data, then go back to sleep until the next interval. Reading type sensors also support “Assessments per Heartbeat”, where the sensor will wake up, gather data and compare it against conditions set for the Aware State (see below), and if conditions are met, send that information to the software immediately (otherwise the sensor goes back to sleep). If using iMonnit Basic (Free) the assessments per heartbeat is automatically set to check six times per heartbeat (ex. every 20 minutes with a 2 hour heartbeat). If using iMonnit Premiere, you have control over how many assessments you want your sensors to take in between heartbeats. Every sensor has an aware state function. The aware state allows the sensor to function at a higher level when certain conditions are met. For event type sensors, the detection of an event automatically triggers the aware state. For reading type sensors, the user sets the conditions that must be met for a sensor to enter it’s aware state (also used for “Assessments per Heartbeat” above). Once in the aware state, the sensor will operate based on the “aware state” settings.